Skin care is a very highly specialized area of aesthetics. Often, a great result following facial surgery can be made even better with the appropriate skin care products. To meet your individual skin care needs, we offer an extensive choice of Skin Medica Medical Grade Skin Care products. If you would like to obtain any of the products from our office, these can be shipped to your home. We ship using Canada Post or FedEx. Skin resurfacing options are available employing glycolic acid, salicylic acid, and phenol-croton oil peels. These treatments are all designed to be a part of a skin care regime to give the maximum benefit possible with the least downtime for each individual patient. 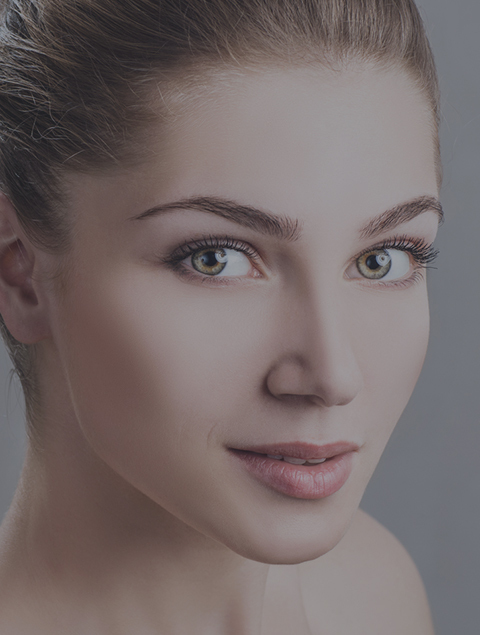 Botox Cosmetic® injections are the most commonly performed cosmetic procedure used to “improve” the appearance of facial wrinkles through minimally invasive injections. These injections are made from botulinum toxin A, a therapeutic muscle-relaxing agent approved by the FDA for several different uses. When injected into the skin, it can block the nerve to muscles that are responsible for the repetitive actions that cause fine lines and wrinkles, smoothing them away for a younger and more refreshed appearance. Juvéderm® is an injectable gel that gently reverses many signs of aging in the face, including fine lines and wrinkles, crow’s feet, thinning lips and loosening skin. It can also “plump up” the lips, sculpt the cheeks, and restore a youthful oval shape to the face. It is made with hyaluronic acide, a natural substance found in the body that works with collagen and elastin to give volume and support to the skin. Latisse® is a prescription eyelash product approved in Canada to grow your natural eyelashes fuller, longer and darker. Visible results happen as early as eight weeks, with full effect in 12-16 weeks.